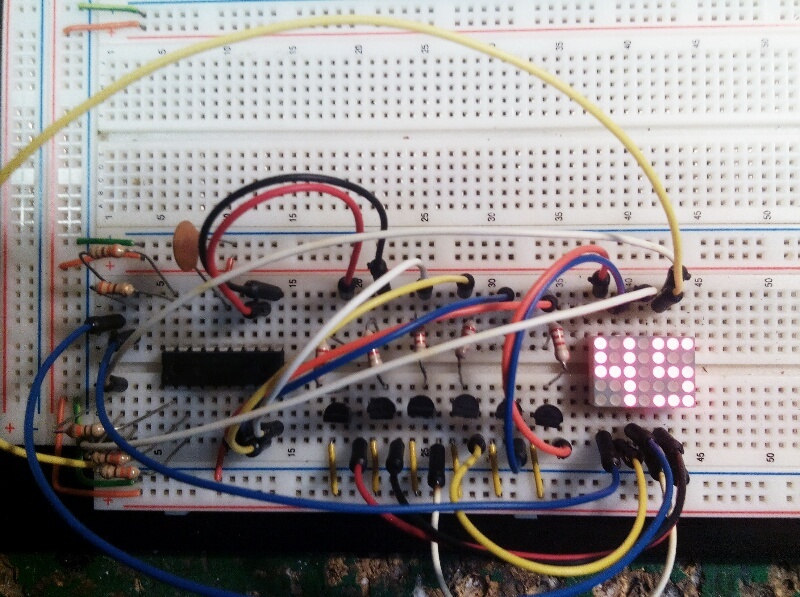 Here's a cute twist on the LED matrix display, quite literally. 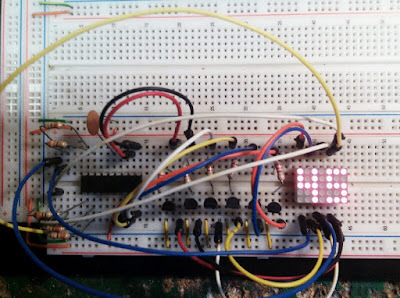 By rotating a 5X7 matrix 90 degrees, we can achieve a very decent two-digit readout. Each digit is now 3X5 (the dividing column between the pair is simply left blank.) You might guess that wouldn't be enough resolution for a clear appearance, but such is not the case. The digits are indeed very legible. 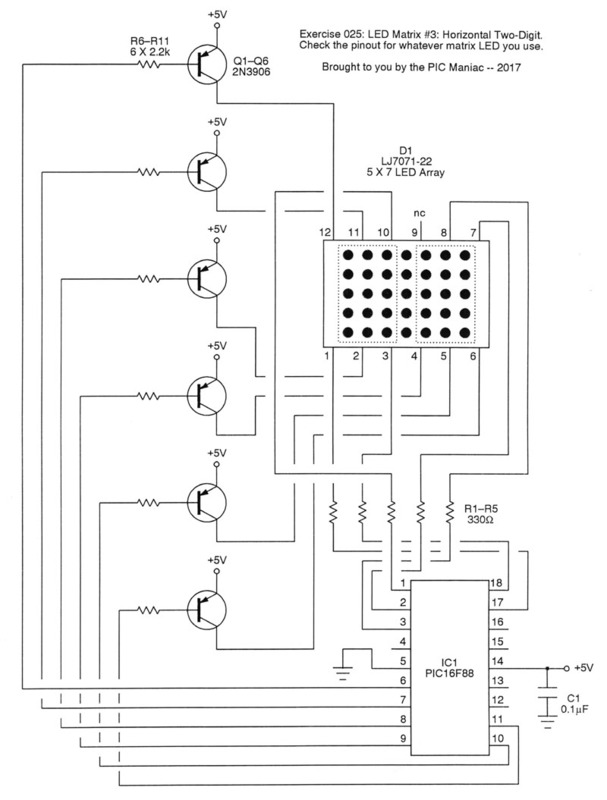 Since rows and columns are swapped now, so is the polarity of the diodes. Hence, negative logic is used. A new set of character data is required, but as always, I've provided this in the source code (as an include file) which you can download. 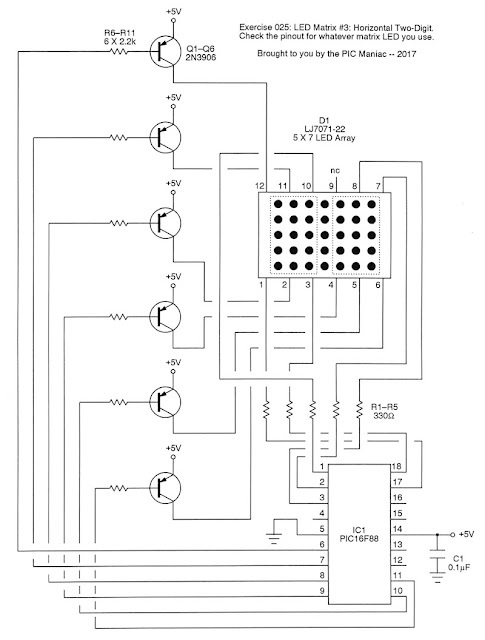 You'll note in the schematic that we accommodate the negative logic by the use of PNP transistors now. As usual, the multiplexing is handled by Timer0 interrupts. It's a piece of cake in PIC Micro Pascal.